Here at Urban Environmental, we know and are professionally trained to deal with asbestos contamination issues. Naturally, the city of Vancouver is one of the highest concentrations of asbestos building materials in homes in the province, and our group has been containing and removing asbestos for years. So naturally, we have been asked a few times and decided to blog about, where is asbestos found, and what do you do if you see it. 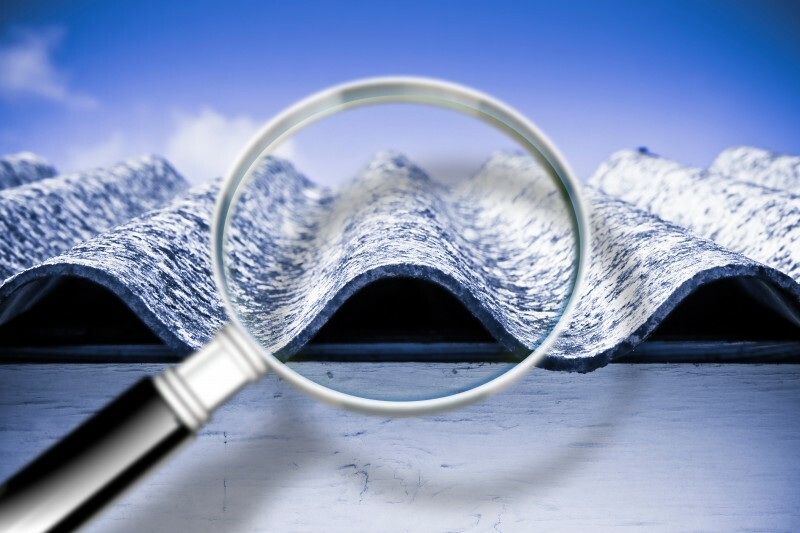 Asbestos was used for years as a quality roofing material, and we have seen it in a number of areas. First, you may have asbestos in your roof shingles or original roof. The material is quite fire retardant which made for an attractive choice for roofs in the mid part of the 20th century. As well, you may see asbestos in vermiculite insulation, ceiling tiles, coatings and popcorn ceilings in and around Vancouver. Due to the fire retardant and excellent insulation properties of asbestos, we have seen it in some wall units in Vancouver. This includes in drywall and cement sheets in basements and even in putty, plaster or caulking in older homes. There are a ton of other areas in which asbestos can be hiding, and really… it can be anywhere. We have seen it in older electrical switchboards, primarily as secure housing insulation. As well, in pipe and duct covering, as well as in plumbing in some mid-century homes. Finally, we have also seen asbestos in the fireplace and thermal boiler insulation and vinyl floor tiles! The stuff can be anywhere, and whether you are professional remodeler or someone who is doing it themselves, you need to be wary of asbestos-laden materials that you could unearth in a home and what you need to do if you discover asbestos. If you are unlucky enough to uncover asbestos during a renovation, or any time, you need to stop, isolate the room and call the team at Urban Environmental. We are trained, and insured to provide asbestos abatement here in Vancouver, and will be able to contain and remove asbestos-laden materials with ease. We will ensure that the home is secure, and will chat with you on next steps, and how to secure your home and family from further contamination. Asbestos is not something you deal with by yourself, and for the team at Urban Environmental, we know the dangers, and how to treat home to ensure asbestos will no longer be a concern. From the first contamination to turnover, Urban Environmental will be with you the entire way.